INTERNATIONAL CUSTOMERS Note: If package is over 24" shipping will be $17 to $24. If you order rolls we are happy to remove covering from roll and send to you lightly folded to reduce package length and your shipping costs. PLEASE give us permission in your order notes to do so. 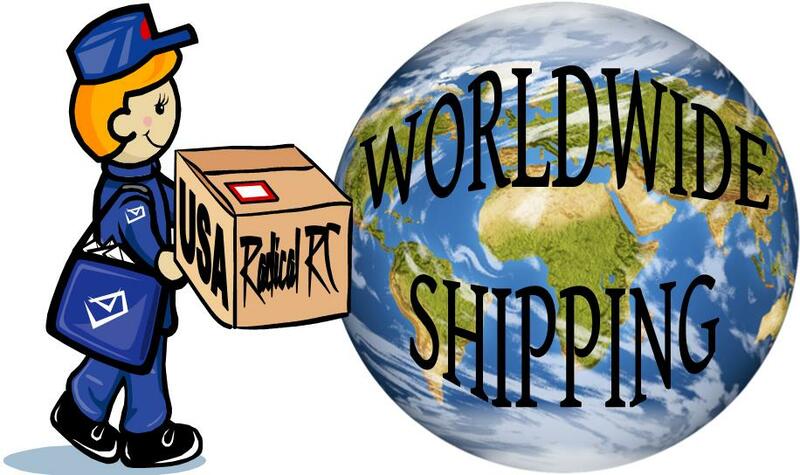 If you say nothing we will leave on roll and ship by the more expensive Priority Mail International which allows packages over 24". FLATS: Solite and Nelson "flats" shipped overseas will be lightly folded in order to get under the 24" package length limit to allow USPS First Class International which is much cheaper. Typical postage (two rolls or flats) is about $10 this way. 2" x 55 yard roll, Acrylic Tape. 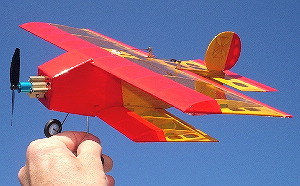 2mill thickness (0.002"). Great covering for foamy's or inexpensive trim for any model. Only 2 rolls left! While supplies last! 2" x 55 yard roll, Acrylic Tape. 2mill thickness (0.002"). Great on foamies, Zagi's or even use it for Trim! Available in 9 bright opaque colors. Tough and light. 2" x 110 yard roll, Acrylic Tape. 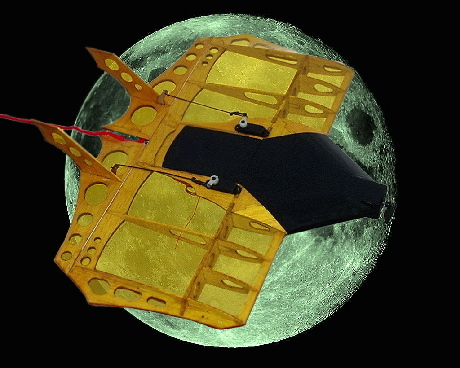 2mill thickness (0.002"). Great on foamies, Zagi's or even use it for Trim! 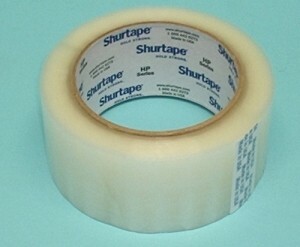 Best clear packing tape ever! Tough and light. 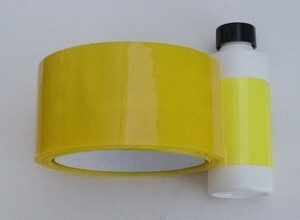 2" x 110 yard roll, Acrylic Tape. 2mill thickness (0.002"). Great on foamies, Zagi's or even use it for Trim! 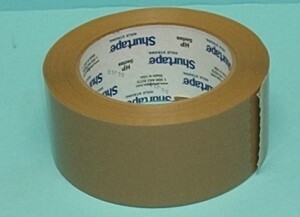 Best brown packing tape ever! Tough and light. Ben Buckle Wet Strength Rag Tissue Paper 18" x 6m. One piece 18" wide x 6 meters long, folded. 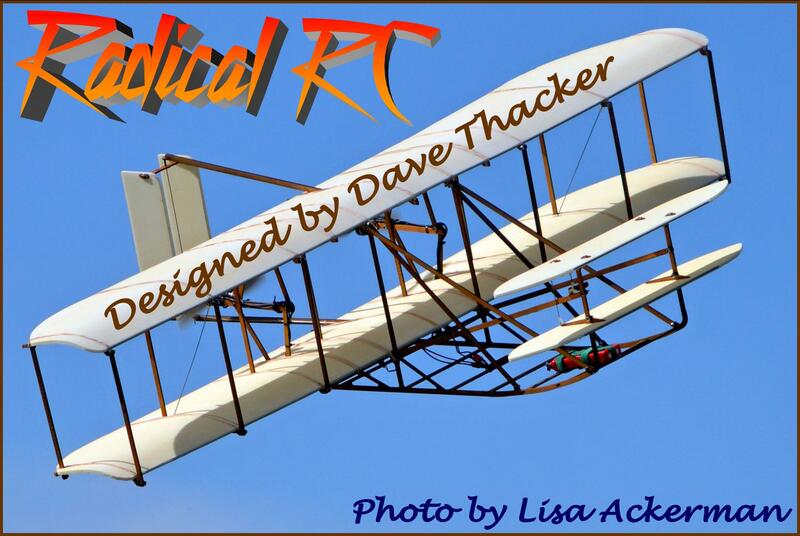 Proper covering material for vintage model aircraft! SIG KOVERALL WHITE 1 YD PKG, APPROX 60" x 36"
Koverall is a cloth covering of the type used on full-scale aircraft, but in a lighter weight (1-1/4 oz. per sq. yd.) for models. 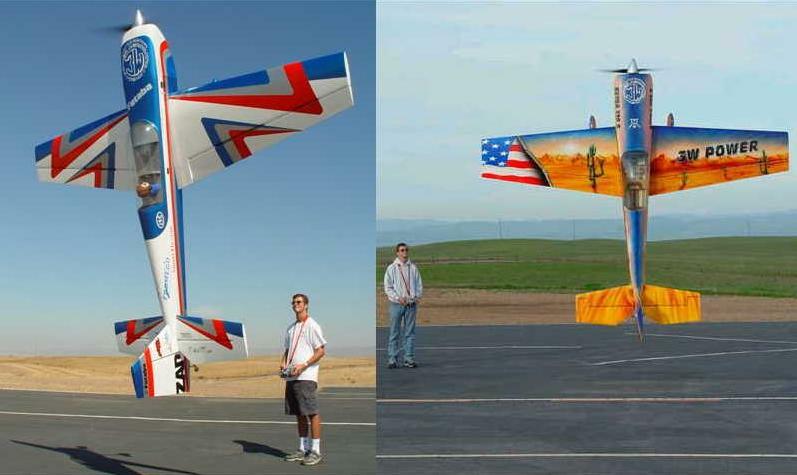 Koverall can be used on almost all R/C models large or small. Its superior strength and low price has made Koverall a real favorite with builders of giant size models. It's the most economical cloth covering you can buy! 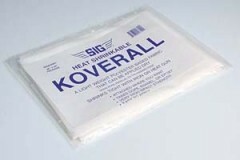 SIG Koverall is an uncoated, heat shrinkable plain fabric. It has no glue on it. To adhere Koverall to a model, you can either dope it on ala the traditional silk-and-dope method, or better yet, use SIG Stix-It heat activated covering adhesive (see below). Just brush a coat of Stix-It on the model framework, let it dry, then iron-on the Koverall just like you would a much more expensive iron-on fabric covering. Once the Koverall is stuck down around the edges, it can be shrunk perfectly tight with an iron or heat gun. Seal the Koverall with 1 - 2 coats of Sig Nitrate Clear Dope and then apply the finish of your choice. SIG KOVERALL WHITE 2 YD PKG, APPROX 60" x 72"
SIG KOVERALL WHITE 5 YD PKG, APPROX 60" x 180"